As temperatures drop, it’s only normal to turn up the thermostat to heat up your home. Families rely on the furnace to kick on when prompted. The last thing you want is a home heating system that isn’t functioning properly, or worse – one that doesn’t work at all. ProServ services furnaces in the Las Vegas area. Unfamiliar Sounds: If your furnace is making unfamiliar noises such as banging, whining or hissing, it’s time to get it checked. These sounds can be due to a number of problems including the need to replace a belt, a component that is about to break or a faulty ignition. 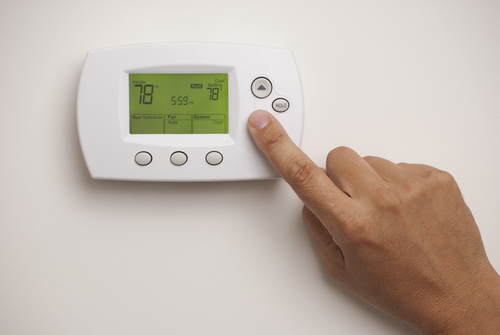 Turning up the Heat: Are you constantly turning up the thermostat to avoid the cold without relief? The constant cold temperatures could be due to a number of issues including a faulty thermostat, leaky ducts, or even a problem with the pilot light. Sky-High Bills: Gas and electric bills tend to be a little higher in the winter. If you notice your bills trending outrageously higher than normal it may be time to contact one of our professionals to help diagnose the problem. Furnace Has Trouble Starting/Staying On: This is a clear sign your furnace is in need of repair or will need replaced. Reasons your furnace may have trouble starting or staying on include wiring issues, a faulty pilot light, a broken fan motor, or the thermostat needs replaced. Air Quality in the Home is Poor: A furnace in need of repair can result in health-related issues. A few of the triggers of poor air quality include allergies, asthma, and headaches. This can be due to the fact that a poorly-functioning furnace can push irritants such as dust and mold throughout the home. Very Old Furnace: An average lifespan of a furnace is anywhere between 13 and 20 years. Many are able to last near that 20 year mark. Once a furnace hits 15 years, it is time to start making plans to replace it. Constant Repairs: If you have needed someone to come out and repair your furnace more than once within the last two years, it may be time to consider a replacement. Furnaces break down with age. Nip the problem in the bud and purchase a new system before it fails on you. Get your furnace fixed now by calling ProServ Las Vegas at (702) 656-4500!